Why would you assist them by leaving something that would slide straight in to their best 22? More low scoring for Carlton fans this season hahaha. And be the good looking one in the team photo. Never taken your Dyson into the bath, have you? I heard that was his 3rd round pick. that’s 7 guys from other AFL clubs. Followed by 5 in 2016, another 7 in 2017, and 6 this year. “It’s a fact, we put it in the Herald Sun”. 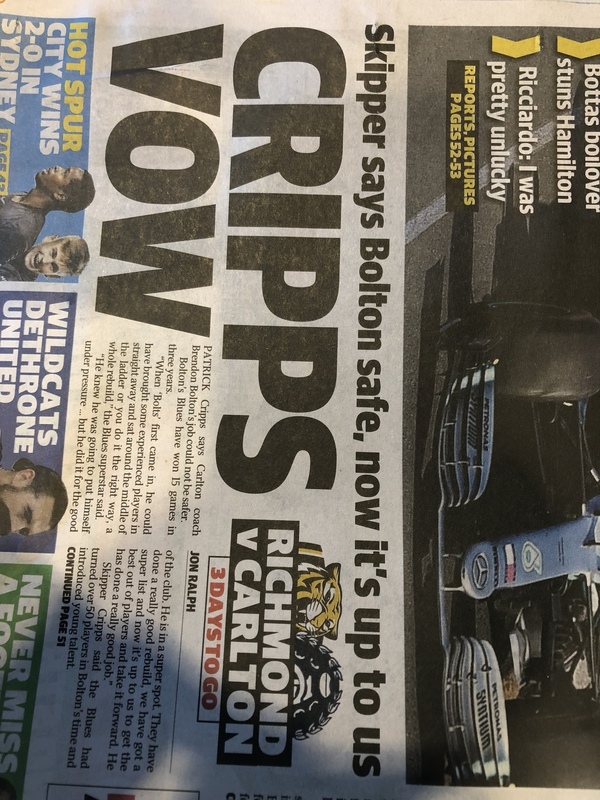 Carlton need to be drug tested! They are smoking some very good sh11t this summer. That article is usually the thin end of the wedge. Players publicly back the coach, then under perform. Coach becomes the target and doesn’t survive the season. Turning over 50 players in three years is not good rebuilding. Was recently in OZ. Went through some old boxes in storage & found this. Great memories. Fck Carlton! If we keep playing the way we did round 1, we will have to change the title of this thread and call it Carlton f’d us AGAIN! The supplementary player sign-up period ended eleven days ago. Damn! 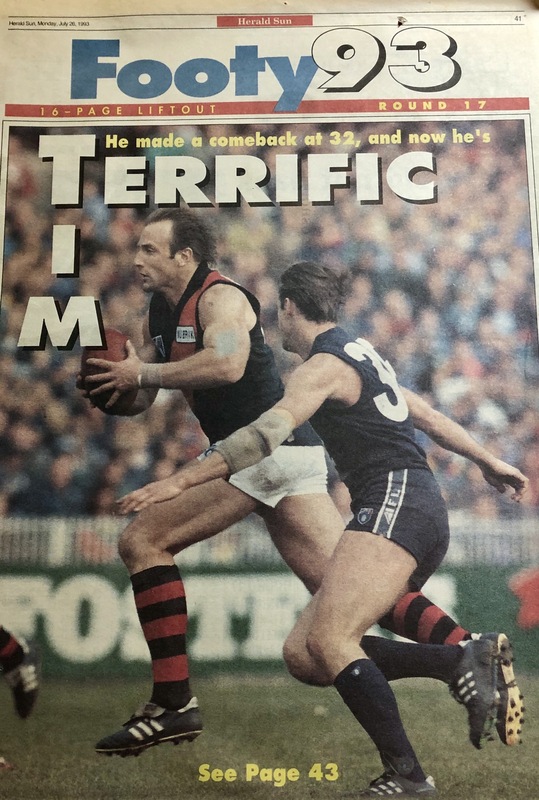 Timmy would have been handy last w/end. Wouldn’t mind a Lloyd/Lucas combo either! Hirdy & Wanganeen as well. Coleman and Reynolds should have gotten the job done. Rejoice, there is a mid-season draft!! !